Shopify offers a secure platform to make sure your store stays safe online. Hacker gains access to your account and deletes your store. Malicious app deletes your store. Mistake done by one of your staff by deleting products or even your entire store. What you need to know first is what we are doing is exporting a CSV file (which can be opened using Microsoft Excel) of your store’s data. This CSV file can later be imported (also manually) in case of a disaster. Exporting products — for products. Importing and exporting customer lists — for customers. It’s also important to note that a CSV export of your products won’t help you if your products are deleted. The CSV references product images stored on Shopify’s content delivery network (CDN), and those files are deleted when the product is deleted. If your products are deleted, and you import your products via the CSV file, none of the product images will be restored. You’ll also have to rebuild all of your collection by hand. 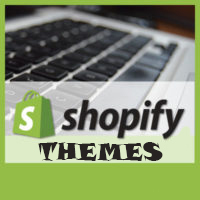 There are Shopify apps to help you backup your Shopify store. Rewind is the easiest way to backup your Shopify store and undo unwanted changes. Get peace of mind knowing that your most important store data is automatically backed up by Shopify’s top-rated backup app. Every day, Rewind backs up millions of items for merchants of all sizes. From small shops to Shopify Plus stores. Automatic Backups is the easiest, most secure way to backup your most important information. The app backups up your entire store and then saves your products, product images, collections, blogs posts, shop pages, and theme files whenever they change. This creates a full history of your shop. Never worry about changes to your shop again.